India’s biggest title hope Lakshya Sen made a smooth progress to enter the fourth round of the ongoing BWF World Junior Championship 2018 in Markham, Canada. The fourth seed needed 24 minutes to prevail over Italy’s Giovanni Toti 21-7, 21-13. In the pre-quarter-finals, the 17-year-old Sen will face a seeded opponent for the first time in this tournament as he takes on the ninth seed Chen Shiau Cheng of Chinese Taipei. 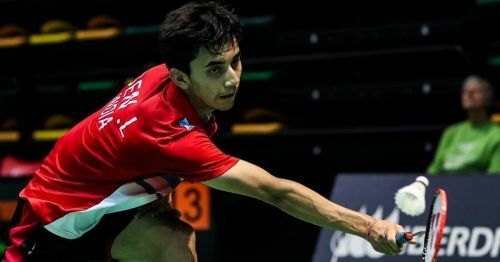 Sen is looking to end his junior season on a high after claiming the Asian Junior Championships gold medal and the Youth Olympics silver medal earlier in the year. The former junior World No. 1 has never made it past the quarter-finals of this prestigious tournament. While the Prakash Padukone Badminton Academy product had no problem in progressing into the last-16, all his singles compatriots crashed out. In men’s singles, Kiran George made a bright start against the second seed Ikhsan Leonardo Imanuel Rumbay but failed to sustain the momentum under pressure, slumping to a 21-12, 19-21, 17-21 loss. Third seed and reigning Youth Olympic champion Li Shifeng totally outplayed India's Alap Mishra 21-15, 21-12. In women’s singles, eighth seed Purva Barve met with a 15-21, 10-21 defeat at the hands of the Malaysian shuttler Eoon Qi Xuan, thus ending India’s hopes in that section. In men’s doubles, there was a big upset as the fifth seeds Krishna Prasad Garaga and Dhruv Kapila were shown the door 19-21, 18-21 by the unseeded Chinese combine of Dai Enyi and Feng Yanzhe. Only 12th seeds Vishnu Vardhan Goud Panjala and Srikrishna Sai Kumar Podile made it to the Round of 16, by dint of a 21-18, 21-14 victory over Sweden’s Joel Hansson and Melker Z-Bexell. The women’s doubles duo of Aditi Bhatt and Tanisha Crasto beat Dilmi Das and Anurangi Masakorala 22-20, 21-10 to book their Round of 16 berth. Indians are now out of contention in mixed doubles following the 14-21, 14-21 defeat of Saipratheek K Krishnaprasad and Ashwini Bhat K to 10th seeds Hiroki Midorikawa and Natsu Saito.